Don’t quote us, but here’s our list of the most well-known classical pieces in the history of music. Ludwig van Beethoven (1770- 1827) composed this piece, which actually captures the rhythm of the opening few notes in Morse code that denote the number 5 or “V.” This opening was actually used during WWII to send Morse code messages. According to legend, Beethoven did not know what would be the opening for his Symphony 5, but while he was taking a nap, he heard the knocking rhythm on his door and it became the first few notes of the piece. Carl Orff (1895- 1982) is most definitely best recognized for this piece of music, and for its usage of very dramatic vocal and instrumental tones. The piece is based on a 13th century poem “Carmina Burana.” It is one of the most played classical music pieces in the world. George Frideric Handel (1685 -1759) wrote this entire oratorio in 24 days. Now-a-days, many melodies borrow tunes from this piece. According to legend, Handel heard the music from angels playing into his ear. The lyrics are based on biblical passages as Handel was trying to depict the life, death, and resurrection of Jesus Christ. Richard Wagner (1813- 1883) created a magnum Opus “The Ring Cycle,” which this piece comes from, and based it on an expression of Odin’s daughter (Norse Mythology). This opera took 26 years to finish and is only the second section of a four-part masterpiece. This is probably one of the most famous pieces of music that J.S. Bach (1685- 1750) ever composed. The piece has a heavy, strong quality and it quickly became associated with many dramatic scenes in films. Bach is the all-time top rated fugue composer. Wolfgang Amadeus Mozart (1756- 1791) created this legendary 15-minute piece of music in just one week. It was officially published in 1827. Another masterpiece by Ludwig Van Beethoven was completed in 1824 and is the most famous part of the popular Ninth Symphony. 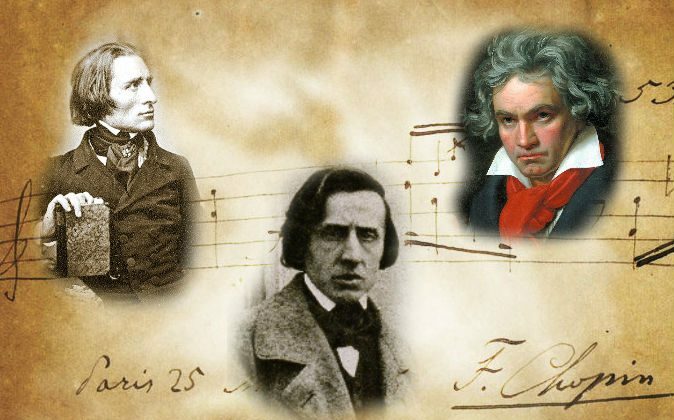 It is amazing because of the fact that Beethoven was deaf but was able to produce such high caliber compositions. Johann Pachelbel (1653 -1706) was a baroque composer who was regarded as one of the most important composers of the period. He wowed the world with his technical and sophisticated compositions. Gioachino Rossini (1792-1868) wrote this 12-minute-long piece of music as the last part of his four-part musical overture. Other parts are well known as well but this piece became famous through its usage in Warner Brother’s Looney Tunes cartoons.